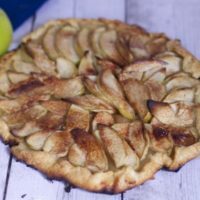 This post about apple Galette Recipe and making pasty dough in a food processor is made possible since I received this product for free from Moms Meet (momsmeet.com), May Media Group LLC, who received it directly from the manufacturer. As a Moms Meet blogger, I agree to use this product and post my honest opinion on my blog. The opinions posted are my own. I rarely ever make pastry dough. For the most part, frozen pie crusts have suited me just fine over the years. They are convenient. 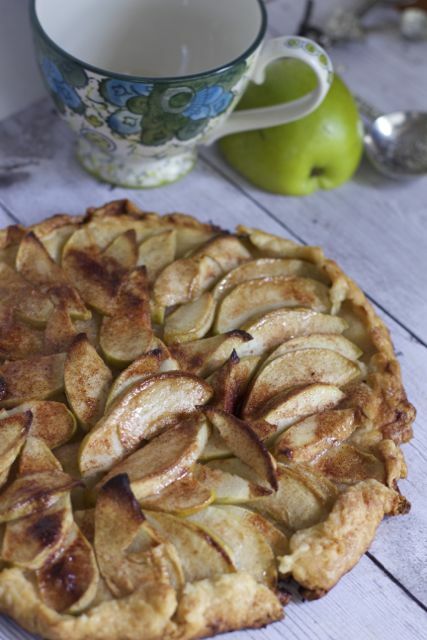 When I was thinking of making a fall recipe for National Apple Month, I thought of the rustic Apple Galette. In the past I have purchased the rolled out pastry dough for this, but I don’t really like the texture. 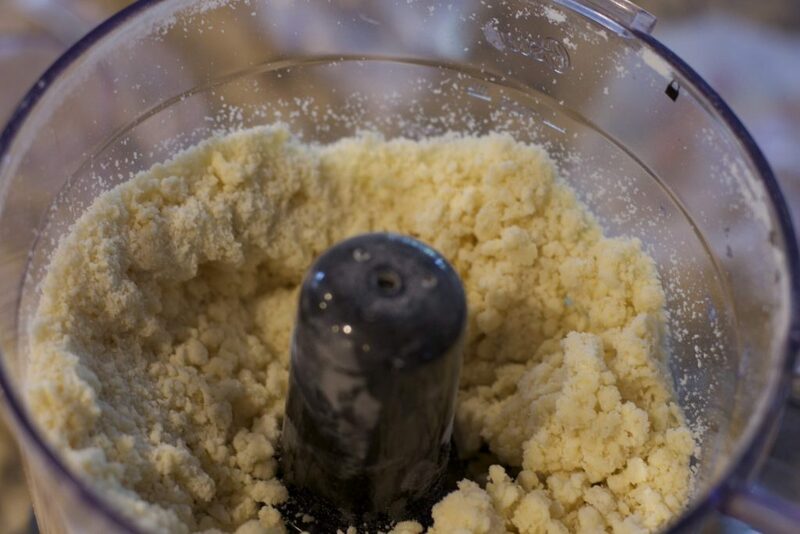 So here I am, showing you how easy it is to make pastry dough in a food processor. Plus you know exactly what ingredients are going into your pastry dough. Use organic flour and butter if you wish. 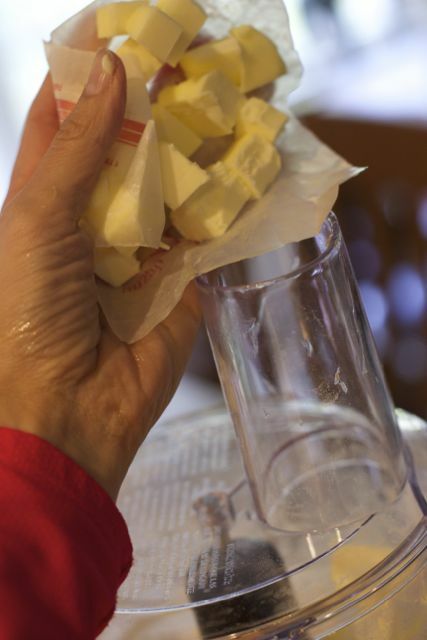 The key to good pastry is being sure your butter and water are ice cold. Other than that it is pretty simple. 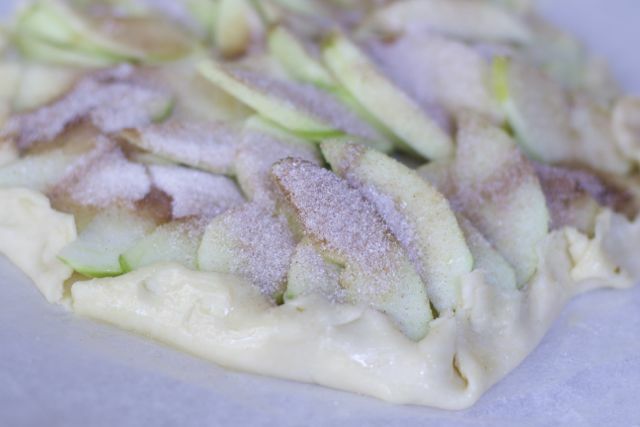 It took about 10 minutes to make the pastry dough for my apple galette recipe. 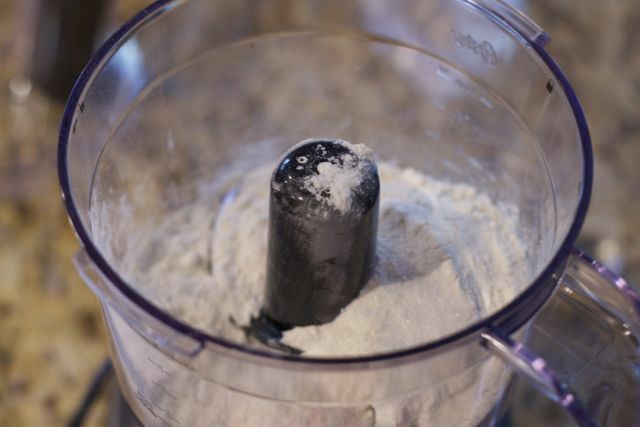 Simply add the dry ingredients to your food processor and pulse for about 10 seconds. Add your very cold cut butter and process for one-second intervals until you get pea like pieces. Then add your cold water and pulse. I think I might have gone too far with this. Ideally you would want to mix it to this point by hand. Fold into a small disc, we only did half a recipe otherwise it will make two discs. Place in the fridge for at least 2 hours. Roll out your pastry to a 10 inch round. This is rustic so it does not have to be a perfect circle. Brush with melted butter and sprinkle with sugar. Peel, core and slice apples. 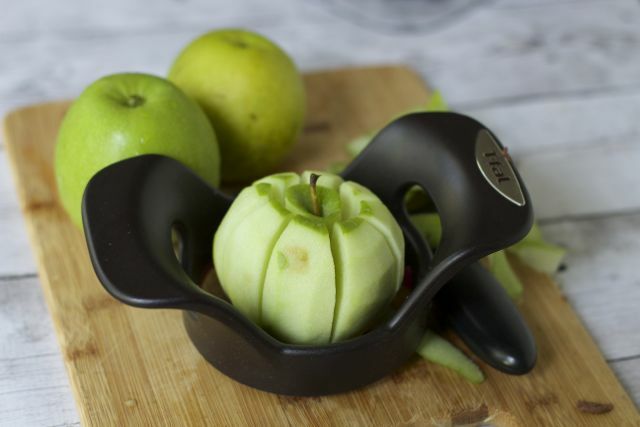 We love this T-fal Ingenio Apple Wedger. Just cut each slice into 3-4 thinner slices. Place them around the dough, leaving a one inch border. 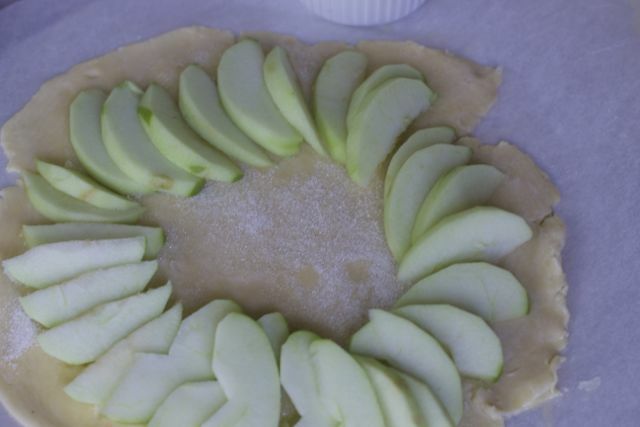 Cover the edges of the apples with the pastry dough. Coat with additional butter and some cinnamon sugar mixture. Bake and eat while still warm! 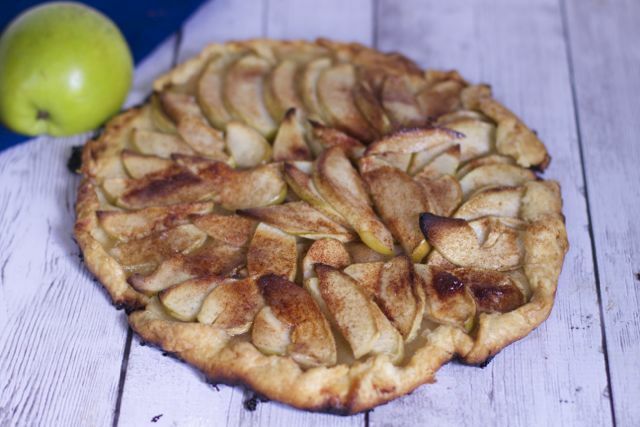 For this Apple Galette recipe we tested out our new Oster Pro 1200 Plus Food Processor. It’s a blender and food processor in one. This takes up less room in your kitchen cabinet to have only one base. The Food Processor attachment can really get things chopping in the kitchen with slicing and dicing ability too! Versatile attachments make food prep and smoothie creation simple! 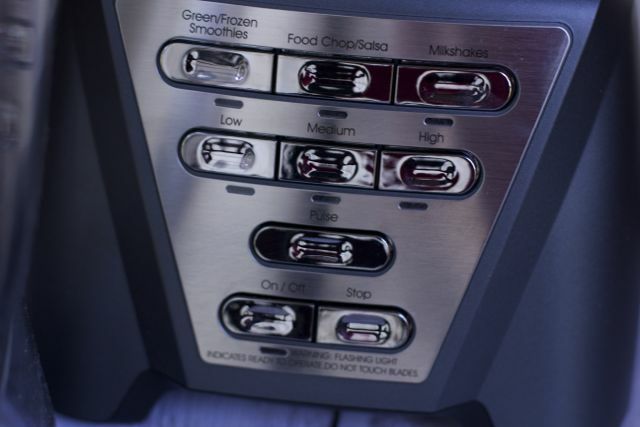 Smart settings are conveniently programmed to blend the perfect smoothies, salsas and milkshakes in just one touch so you never have to guess how long or what speed to blend your ingredients. 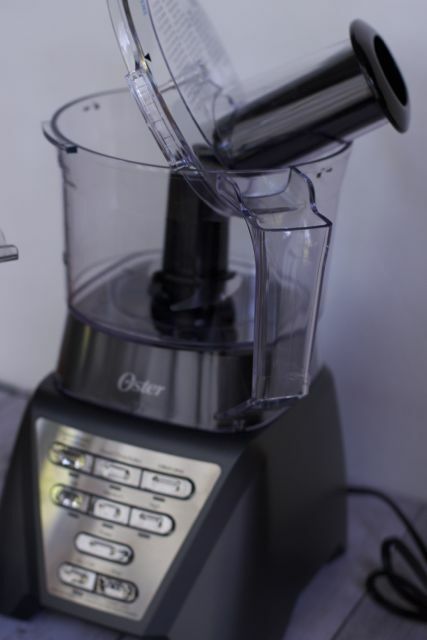 I can’t wait to try more recipes with my Oster Pro 1200 Plus Food Processor. I know my kids are going to want to make smoothies when they see this new appliance in the kitchen. Best part about this appliance is not only the ease in chopping and processing but it includes an Extra Large 8-cup BPA-free TRITAN™ Jar that’s dishwasher safe and impact and temperature resistant and an Extra Large capacity 5-cup Food Processing Bowl with stainless steel slicing disk and chopping blade. DISHWASHER SAFE! Be sure to check out how to make pizza dough in a food processor as well as our gazpacho recipes. 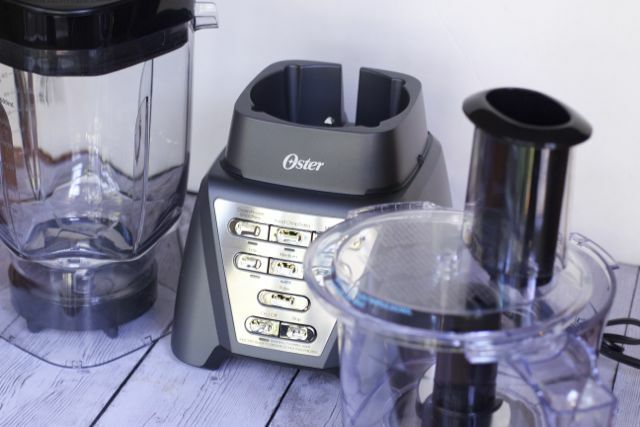 Before heading out to the store to buy this great food processor, grab this coupon good for $10 off any Oster® Blender $39 and up at Target. Simply print the $10 off coupon before shopping. There will be other Oster Blender® offers on the Target Cartwheel app throughout the holiday season! Blend flour and salt in processor. Add butter and blend, pulse about 10 times, until mixture resembles coarse meal. Add 2 tablespoons ice water and blend just until dough begins to clump together, adding more ice water by teaspoonfuls if dough is dry. Gather dough into ball; flatten into disk. Wrap in plastic and chill 1 hour. Roll out dough inches in diameter. Remove top sheet of parchment. 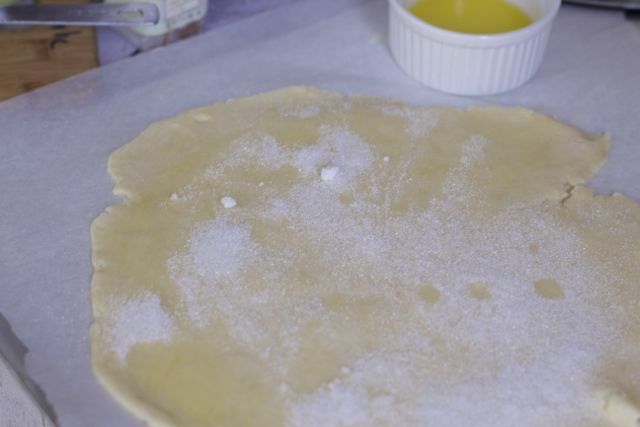 Using bottom sheet as aid, transfer dough on parchment to large unrimmed baking sheet. Chill 15 minutes. 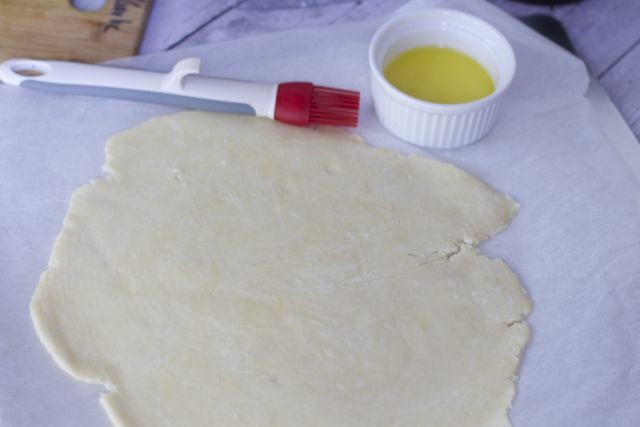 Melt 3 tablespoon of butter and brush a thin coat on pastry, reserving the rest. Sprinkle with 1 tablespoon of sugar. 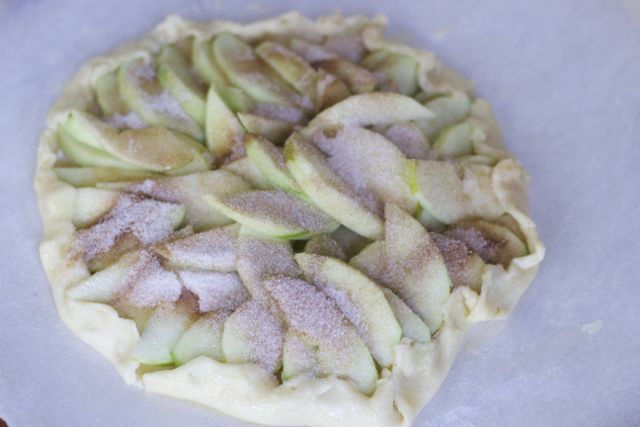 Arrange apple slices in concentric circles atop cinnamon sugar, overlapping slightly. 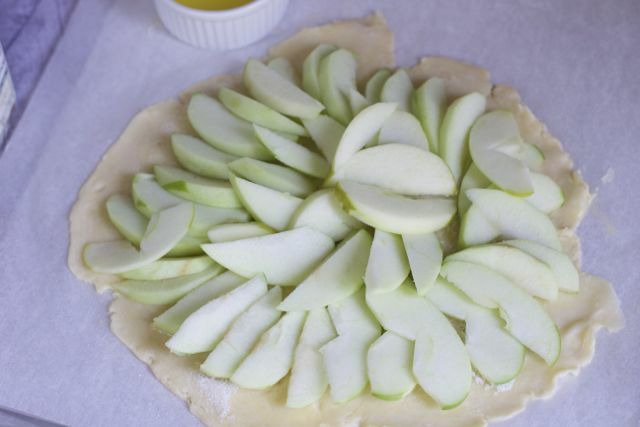 Using parchment as aid, fold plain crust border up over apples, pinching any cracks in crust.Bursh or drizzle all but 2 tsps of butter over the apples. Combine cinnamon and 3 tablespoons sugar and sprinkle over apples. 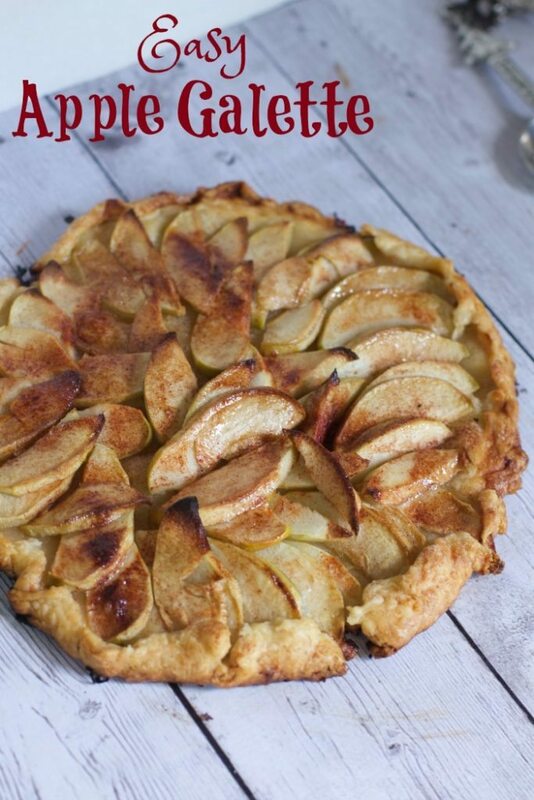 Bake galette 20 minutes. Reduce oven temperature to 350°F and continue baking until crust is golden, about 20-30 minutes longer. Remove from oven. Set pan on a rack, brush the apples with remaining butter and let cool. 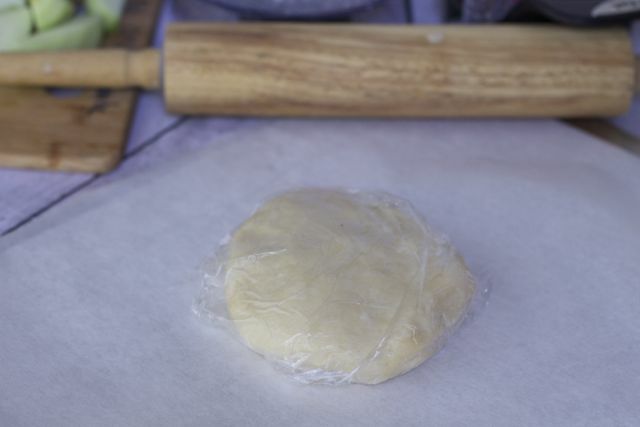 You can make pastry 2 days ahead. Keep dough chilled. Soften slightly at room temperature before rolling out. 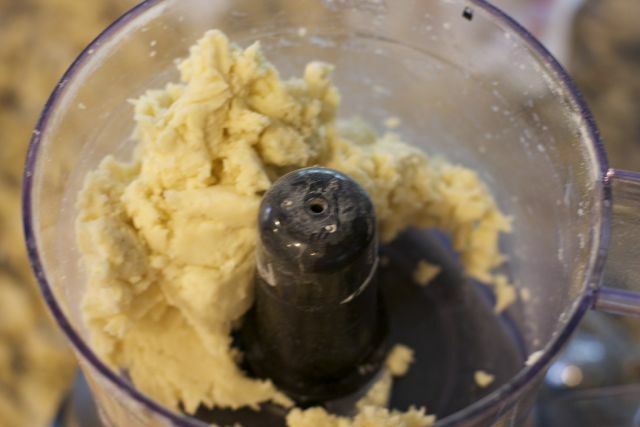 Have you ever made pastry dough in a food processor? This seems easy enough and I bet the fam would love this idea. I will make it up once I buy a food processor, which is on my must buy list! Oh my goodness! This is what I wanted to try. It looks good and easy to make. This sounds like amazing pastry dough!!! I love a food processor, it really can make doing things in the kitchen so much easier to do. I really want to try pastry dough sometime. I have this hankering to bake recently and I think I should expand myself on it!